You can buy high-res versions on Etsy, with Europe and other countries also on offer. 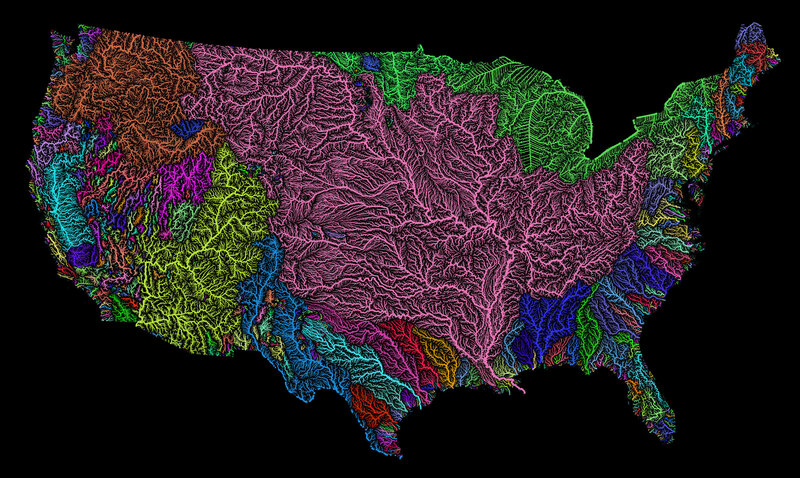 High resolution map of all the permanent and temporary streams and rivers of the contiguous 48 states in beautiful rainbow colours, divided into catchment areas. It shows Strahler Stream Order Classification. The higher the stream order, the thicker the line. Map made mostly with the open-source QGIS software.